City councillor Joe Magliocca invoked oil pipeline politics in chambers recently, saying the handover of Olympic ski jumping to B.C. would be "a slap in the face to the energy sector." An International Olympic Committee official once said the commute from Vancouver to Whistler, B.C., for the 2010 Winter Games was "too far." 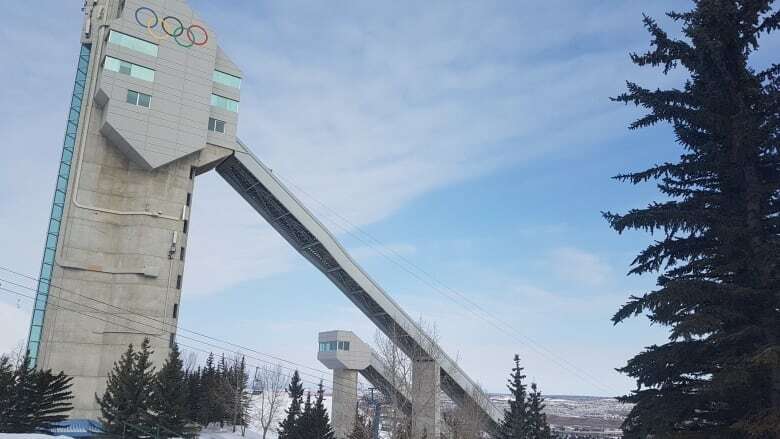 Now, the IOC says it's OK for Calgary to hold ski jumping outside the province of Alberta, should the city decide to bid on the 2026 Olympic and Paralympic Games. The bid corporation Calgary 2026 proposes reusing the 2010 ski jumping venue in Whistler for that sport and nordic combined, which is a combination of ski jumping and cross-country skiing. But there's resistance in Calgary to giving Olympic events to another province. City councillor Joe Magliocca invoked oil pipeline politics in chambers recently, saying the handover of Olympic ski jumping to B.C. would be "a slap in the face to the energy sector." He was referencing Alberta's desire to build a pipeline to the west coast and B.C. 's opposition to it. Ski jumping should stay in the host city, he said. "If we're going to host it, let's host it here in Alberta," Magliocca said. "We're paying for it and our citizens are going to be paying for it." Debate about ski jumping's location in 2026 invariably sparks another debate about the sport's survival in Canada. "Without renovating or building new jumps in Calgary the sport will pretty much die off," said 17-year-old Calgary jumper Abigail Strate. "It will be very hard to keep the sport going with only the Whistler jump." In an effort to make hosting games cheaper and more sustainable, and thus attract more bid cities, the IOC now considers it a positive in a bid when a city makes "the maximum use of existing facilities and the use of temporary and demountable venues where no long-term venue legacy need exists or can be justified." Calgary 2026 chief executive officer Mary Moran told The Canadian Press the cost of renovating the ski jumps from the 1988 Winter Olympics in Calgary would be five times higher than holding the event in Whistler. "If we have a ski jump that is going to drive five times the cost, then we've got to back away from it," she said. "We really need to be responsible in creating our plan. "If we have concerned citizens and athletes, we're happy to sit down and walk them through our decision making." Using Whistler's relatively new competition jumps is a cost savings of $40 million, Moran said. 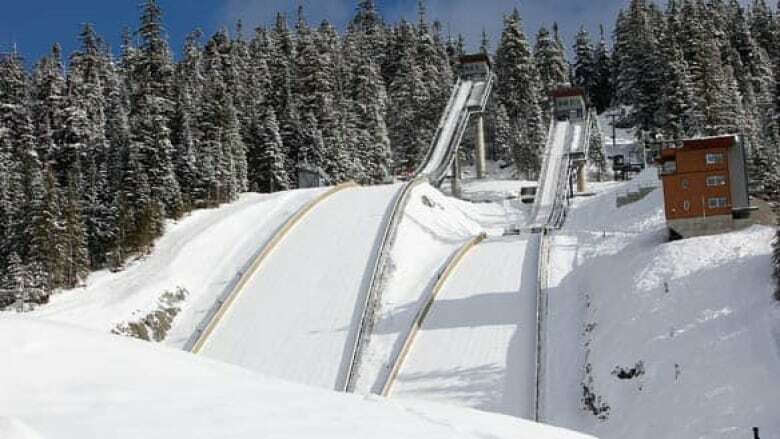 The ski jumping community disagrees with how much money it would take to bring the '88 ski jumps at WinSport's Canada Olympic Park up to Olympic standards. 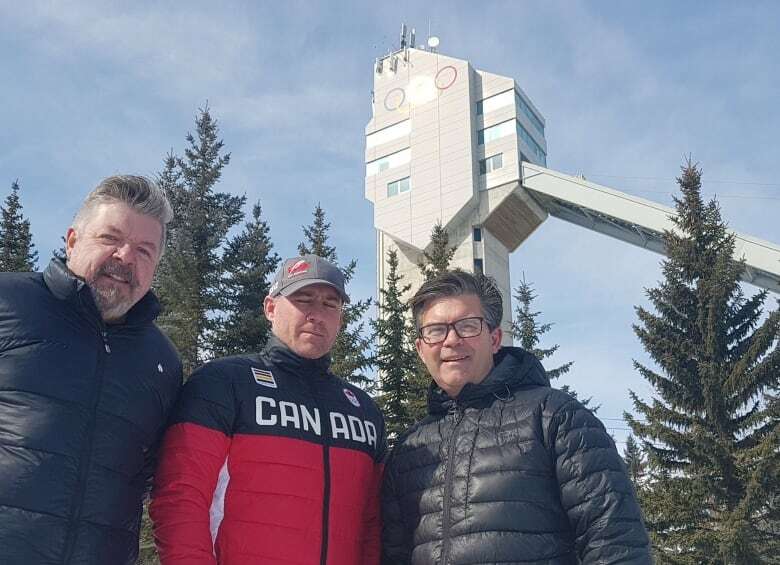 "We believe that the existing facilities at WinSport can be refurbished up to international standards for marginally more than what it costs to (hold) it at Whistler," Alberta Ski Jumping chair Mike Bodnarchuk said. A 2017 report by the Calgary Bid Exploration Committee offered three options with different price tags: construct a new ski jump near Canmore, Alta., ($100 million); renovate Calgary's jumps, slopes and landing bowl from the '88 Games ($70 million); hold ski jumping and nordic combined in the 2010 venue near Whistler ($35 million). Ski Jumping Canada chair Todd Stretch says CBEC's estimate to overhaul the '88 site was inflated. "Right from the get-go, we said those numbers were wrong," Stretch said. No one has launched from the tallest tower — the 120-metre hill — in about 15 years. The 90-metre and three developmental jumps are used by approximately 85 club, provincial and Canadian-team athletes, Bodnarchuk said. The location is conveniently within city limits, but also in the path of flight-altering winds out of the west. Citing a cost of $500,000 annually to keep development ramps operating, WinSport plans to decommission them unless the ski jumping community raises enough money to keep them going. Getting the competition jumps up to international standards again would be akin to building a new facility, according to WinSport's chief executive officer. "The complex would have to be completely rebuilt," Barry Heck said. "When you buy an old house, you either pull it down or start over and do a massive renovation and it almost costs the same." Both Bodnarchuk and Stretch dispute Heck's assessment the 30-year-old Calgary jumps require a complete gut job to be usable in 2026. An outside-the-box proposal that's been floated is dismantling the Whistler jumps and moving them to Calgary. Whistler Legacies Society CEO Roger Soane says unscrewing the bolts, pulling the structures apart with steel cutters and hauling the materials to Calgary is theoretically possible, but there would be a significant expense. 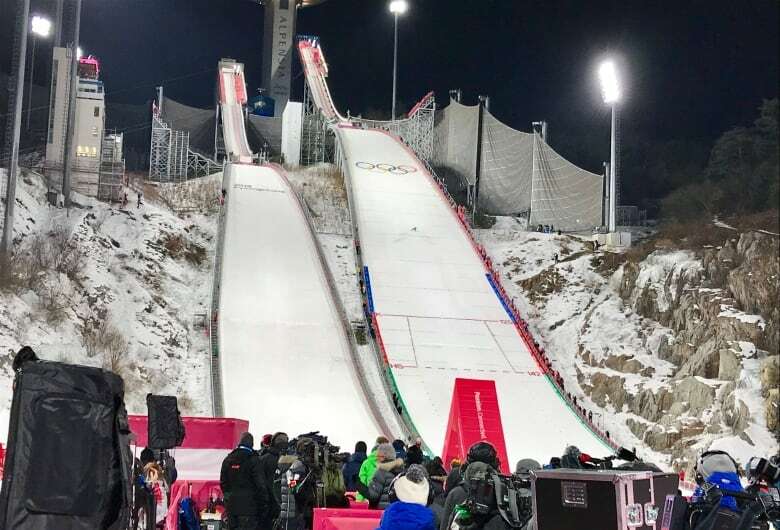 He also said the hill's slope and landing area must meet certain specifications set by FIS, the world governing body of skiing, for safety reasons. "I don't think materials are the most expensive part of a structure like that. It's the slope design which has to be very specific," Soane said. "(It) is finding the right profile of hill to put them on." The profile of WinSport's big jump no longer meets FIS standards, so moving a significant amount of earth would be required in a rebuild, Heck said. Ski jumping has been an Olympic sport since the first Winter Games in 1924. Europeans and Japanese dominate the sport. 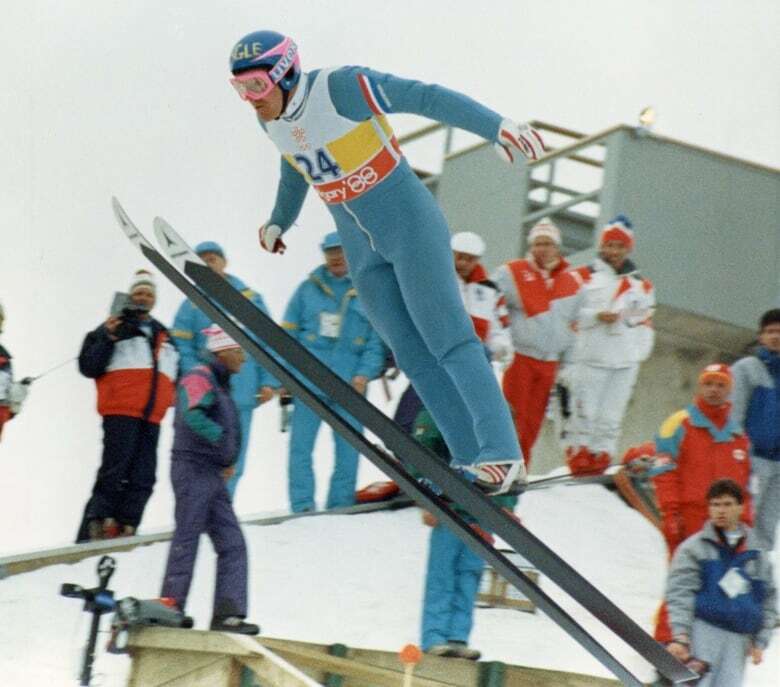 Canada's best result in Olympic ski jumping was Horst Bulau's seventh in 1988. Canada didn't compete in ski jumping in the 1994, 1998 or 2002 Winter Games. 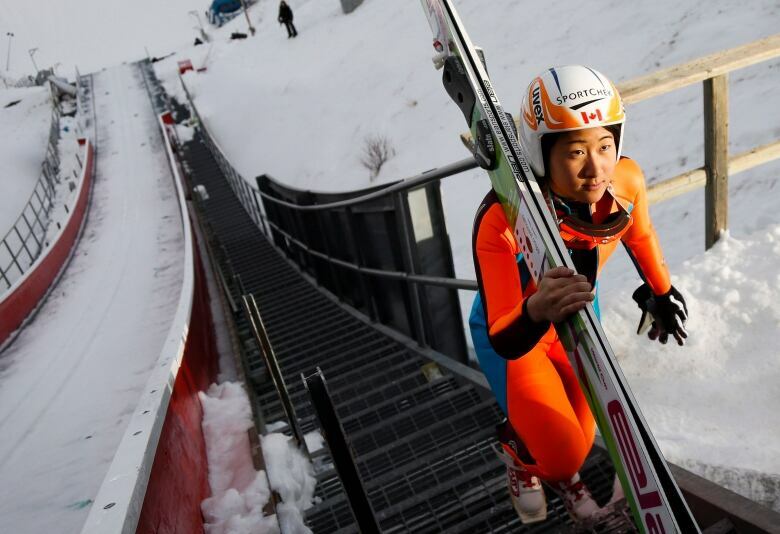 The introduction of women's ski jumping boosted the country's international results. Taylor Henrich finished fifth at the 2015 world championship and won a World Cup bronze medal that season. Canada qualified one male and one female for this year's Winter Games in Pyeongchang, South Korea. They finished outside the top 20. Calgary jumpers feel their sport won't endure in Canada if Whistler becomes the only place in the country to pursue it. Soane admits ski jumping is a tough sell in the Whistler area. "We have kids that love to come and try ski jumping because they see the jumps and they want to be adventurous," Soane said. "We have a problem retaining them. I don't know if it's exhilarating enough for them. "We live in a corridor where people love to throw themselves off the mountain. There's so many options there with big air and freestyle."